The Atlantic has had an uneasy last few centuries – from a 990 mile patch of garbage found in its northern portion (about the distance from Cuba to Virginia), and growing by eight tons of plastic each year, to the heavy absorption of man-cause CO2 cooking its vast quantities of shellfish from rising acid levels, one imagines what else could possibly go wrong. Now the ocean conveyor system, important for carrying warmer tropical waters upstream into the North Atlantic is gradually growing weaker, with a circulation that hasn’t been witnessed in over one thousand years, according to a recent study in the journal Nature Climate Change. So what’s behind all of this, and should we be worried? It seems as though we have enough on our plate as it is, if we’re already looking at fixing the current troubles. Well, the cause is one we’ve been aware of all along. Ice in the Arctic Ocean up north was already at record lows this winter. The resulting cold water seceding away from Greenland’s sheet of ice is slowing down the circulation of the ocean to levels not experienced since the High Middle Ages, according to the paper, an age that also consisted of a considerable warming period before slowing down in the 14th century AD. 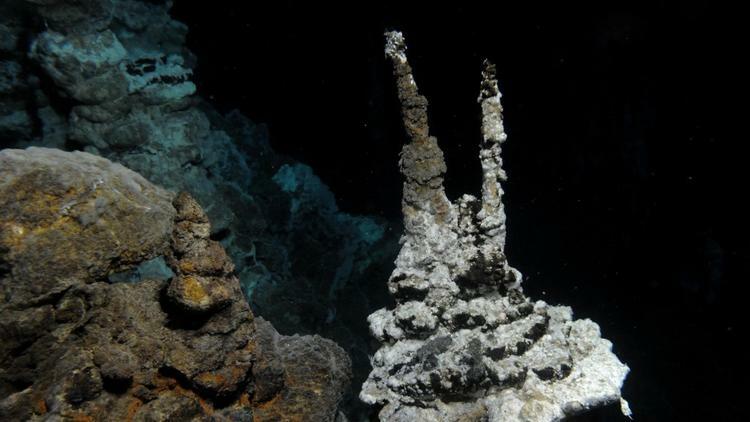 The study obtained its data from coral samples, which are subject to bleaching and gradual death due to increasing acidity levels in the oceans across the globe, as well as from ice cores and tree rings to index the Atlantic winds’ long history of depreciation. 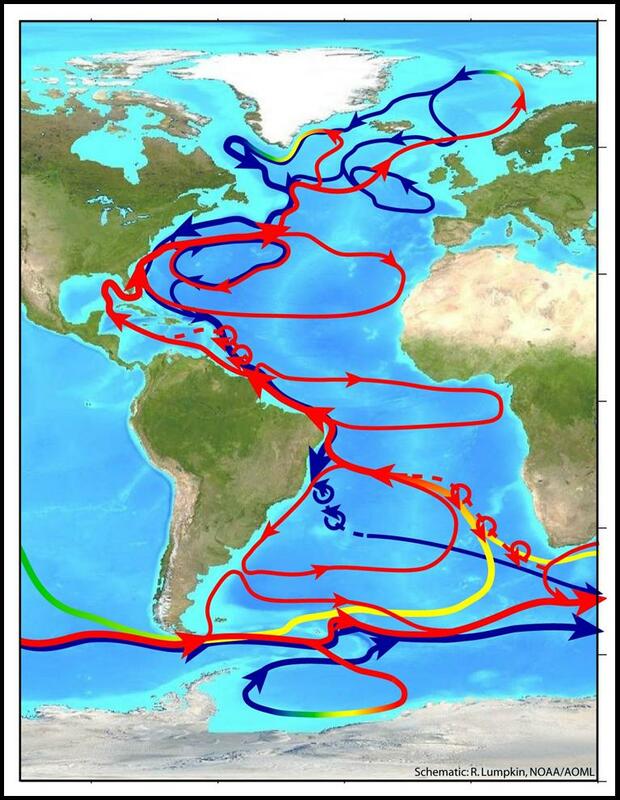 The research also made use of the sea-surface temperature data found in previous studies (which are often more telling than surface temperatures) to create a new index — one which marks a trend of decline in the Atlantic meridional overturning circulation (AMOC). You might never have heard of it, but it’s one of the most important circulation systems on the planet – crucial for distributing the density of ocean water. Think of it as the ocean’s air conditioning system, bringing cooler waters to the deeper Atlantic and warmer waters northward, critical for the functioning of the vast majority of the Atlantic’s ecosystems in sustaining plant and animal life. According to their data, there already was a powering down of the AMOC that took place in modern times, indicating a depreciation between 1970 and 1990, that scientists have already found. A partial recovery has happened, but not anything significant enough to bring the ocean’s current back to what it was in the days before the Industrial Revolution. It could be another irreversible effect of climate change – something that can’t be fixed even if we successfully do reduce CO2 levels. The research was conducted primarily by the Potsdam Institute for Climate Impact Research of Germany. If their unfortunate forecast is upheld in future studies, it could suggest that as ice continues to disappear in the Arctic, the water it releases “might lead to further weakening of the AMOC within a decade or two, and possibly even more permanent shutdown of its integral components” warn the researchers in their paper’s conclusion. While these findings might seem “dramatic” to you, as other scientists would agree, the numbers have shown to be consistent from computer climate models that other researchers have been projecting, according to Stephen Griffies, who has designed such models for the National Oceanic and Atmospheric Administration (NOAA.) Although Griffies did not participate in the study or the paper, he is no stranger to AMOC. A previous study in which he contributed was to one that linked abrupt changes in AMOC to a never before seen five-inch increase of sea levels along the Northeast U.S. coastline between 2009 and 2010. Bear in mind that 2010 prior to last year had set NOAA records for being one of the planet’s hottest years. He isn’t alone either. Previous research has shown a link between this same depreciation in AMOC slowdown with some of Europe’s harsh winters and even a spike in hurricane activity. Michael Mann, prominent climatologist and the director of Penn State’s Earth System Science Center was one of the new study’s authors, in which he emphasizes that the rapid depreciation of Greenland’s ice is happening even faster than earlier researchers had projected, a possible explanation of why the winding down of AMOC is taking place at a rate “decades ahead of schedule.” The abrupt slowdown in the AMOC that took place in 1970 “looked like an aborted collapse” when compared with the rest of the data, giving us a rather unpleasant preview of what a “full-on collapse” may look like, a probable event that the next few decades might show us. Many of you are wondering what, if at all, are the exact consequences brought about by a slowdown in the AMOC, with occurrences as divergent as higher sea levels on the Eastern Seaboard and European blizzards, so what’s the range of what to expect if the decline actually is irreversible? According to Mann, the consequences are somewhat hard to predict, but our own global food security is at risk. Not only do the currents provide ideal waters for the fish and mollusks we eat, but they need to move rapidly in order to provide the flora and fauna with the right nutrients for their survival. Withholding these nutrients can not only lead to a buildup of them in the deep sea, but also a complete disruption of the Atlantic Ocean food chain. The new AMOC index “will certainly attract a lot of attention,” said Stephen Yeager, a researcher from the National Center for Atmospheric Research’s division of oceanography. Yeager, however, is doubtful over how reliable the temperature data used in the study actually is, suspecting that the circulation slowdown may actually be due to overall rising temperatures rather than a buildup of melted water from Greenland, and hopes to pursue it in further research.